payment in "notes" section of payment window or you may send in a separate convo message. 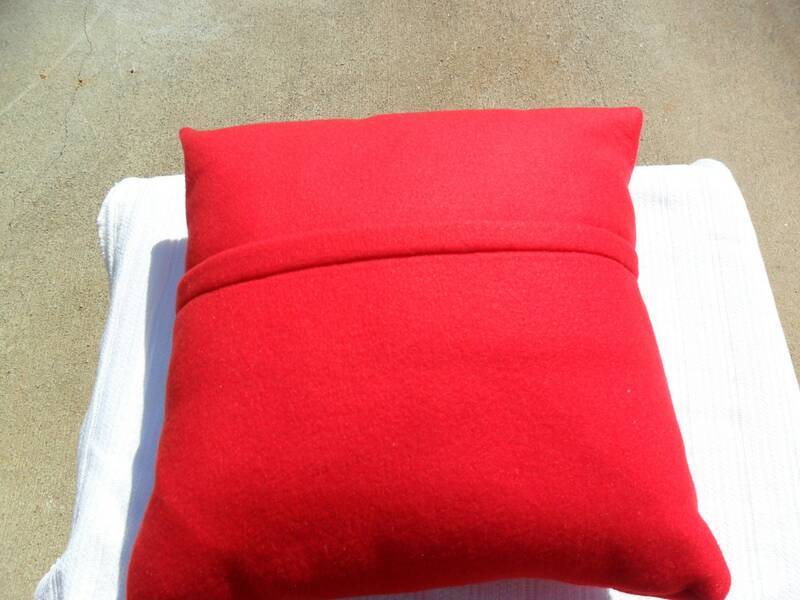 Polyester Fleece fabric pillow has envelope closure back. Pillow cover and pillow are washable. Perfect crossing, fathers day, birthday or anytime gift for your favorite Soror or Fraternity Man. Great addition to the decor of the dorm room, den, theatre room, SUV. Don't see your colors? 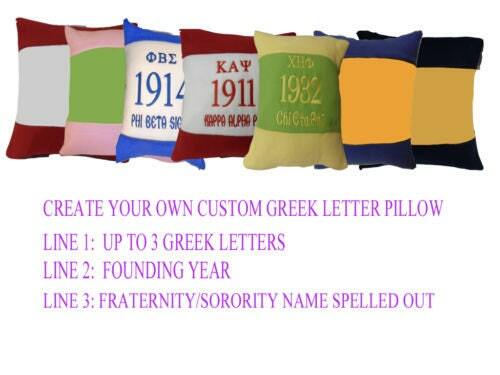 This item can be customized with your personal monogram or your organization's Greek letters and founding year. Just send us a conversation/message with your requested customization. We usually can produce customized items in 3 or 4 business days. Please allow 3 to 4 days production time for customized items during the Holiday Season. Ordered before & it was perfect! But this one the stitching was not centered so I was disappointed.. but it’s still good! Very quick turn around. Love the quality! Excellent to deal with. Phi Mu pink is super! Plus will be easy to clean. Excellent service too! Pillows arrived super fast and in excellent condition. The pictures don't do the pillows justice- they are far more beautiful in person. Will buy from this shop again.